I never get tired of playing with new, cool, functional gadgets that add a little playful joy to my days or bring powerful features to help me be all I can be in my work as I write articles or work up some code for a new website for a client. Always on the lookout for something new I’m hungry and there isn’t a better place to find interesting and unadulterated awesome than the projects which spring forth from Kickstarter. Month after month the mind-buzzing goodness never stops as the website gives inventors, young and old, an opportunity to solve everyday problems and add some fun. They’ve facilitated funding of over 56,800 successful projects so far so keeping up will be a task, especially if you’re on the lookout for specific types of products. 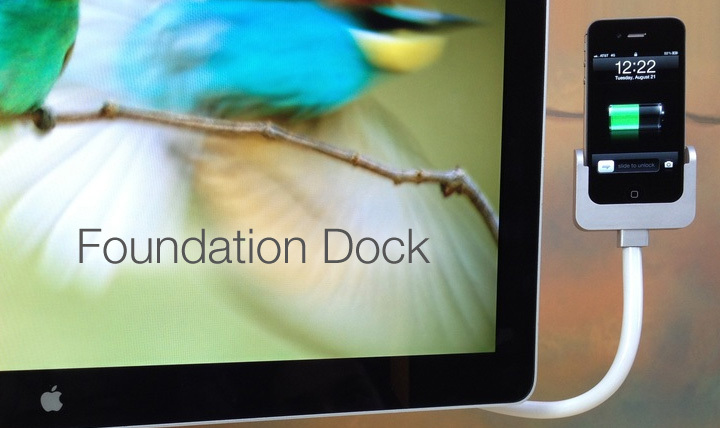 I’m always on the hunt for the next new thing to review especially, Apple related products. Here are some cool gadgets to streamline your workflow and add a little fun to your day. 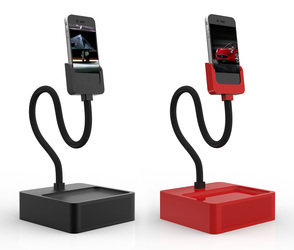 The Foundation Dock is a flexible and bendy iPhone and Samsung Galaxy cradle that comes with built-in speakers, microphone and 4 additional powered USB ports. I particularly love this cradle design as its not rigidly stationed in one spot buts lets you twist and turn your device, wrap it around objects at basically any angle, orientation or height. Have some tight, difficult to reach spots you wanted to showcase on your favorite video calling app? Well no more twisting, turning and breaking your back. Plus it matches your already sleekly designed Apple products. Check it out here. I love, love, love this one! Kinda like sharks with freakin’ laser beams attached to their heads (Austin Powers reference for those who think I’m crazy and don’t know what I’m talking about). 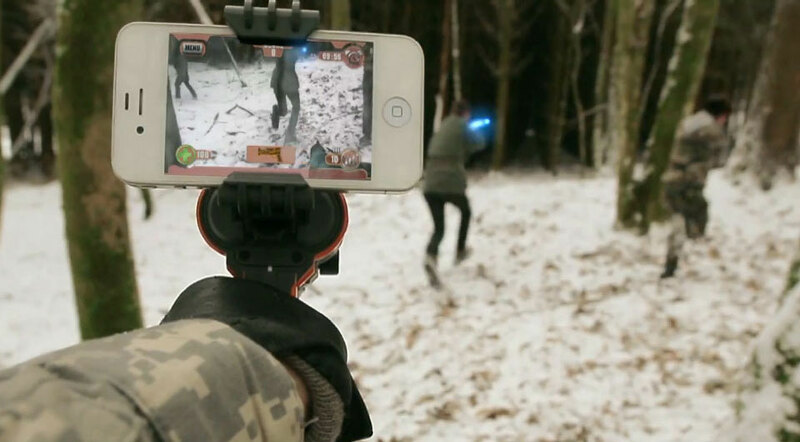 AppTag is a console style first person shooter bundled with an iOS app that gives you a semi-real experience of shooting someone with a laser. 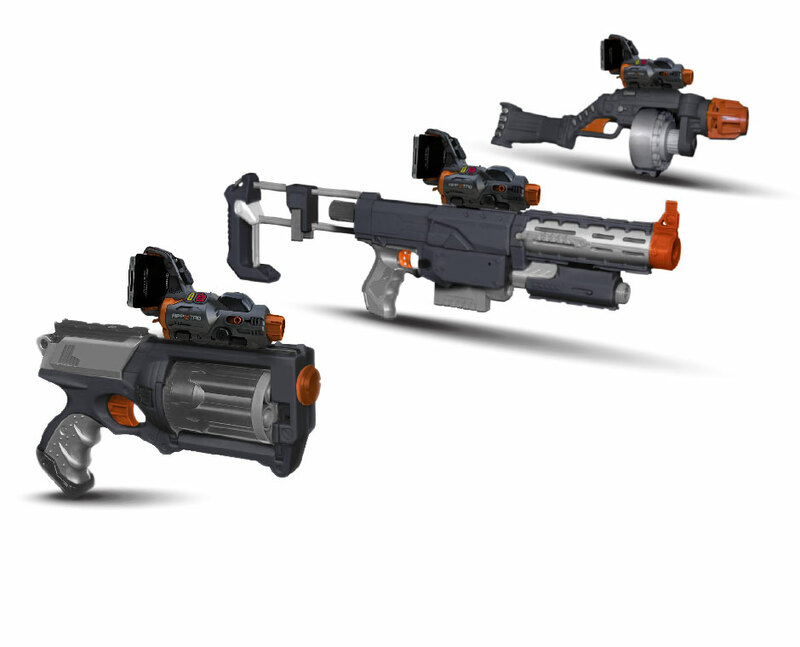 It’s laser tag! Your iPhone becomes a heads-up-display (HUD) showing targeting details, laser effects with even GPS of your friends (or enemies’) locations. The app keeps track of scores, health status, ammo, kill streaks in real-time. Pretty cool! 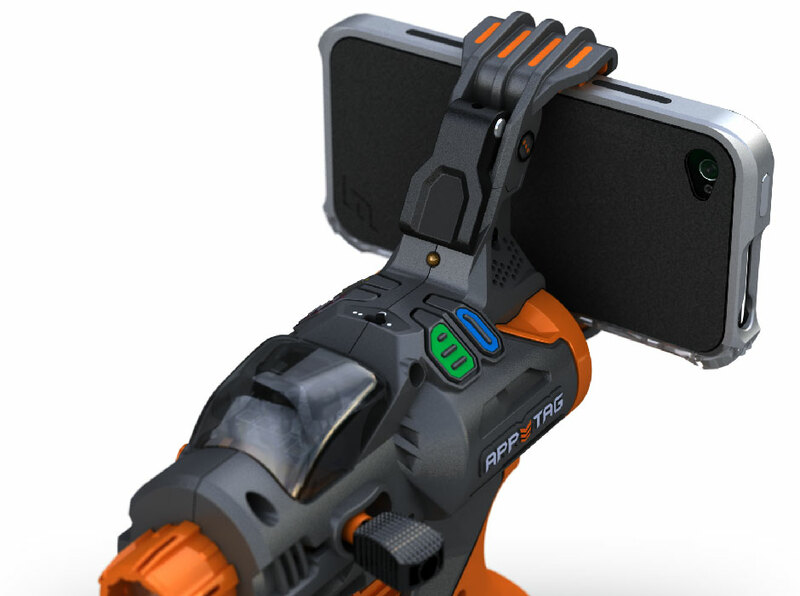 Awesome Kickstarter product if you like running wild and stretching your legs while playing a first-person shooter. Find the AppTag here. Enjoy your music or any audio on the go in style with these speakers without adding any weight on your luggage. 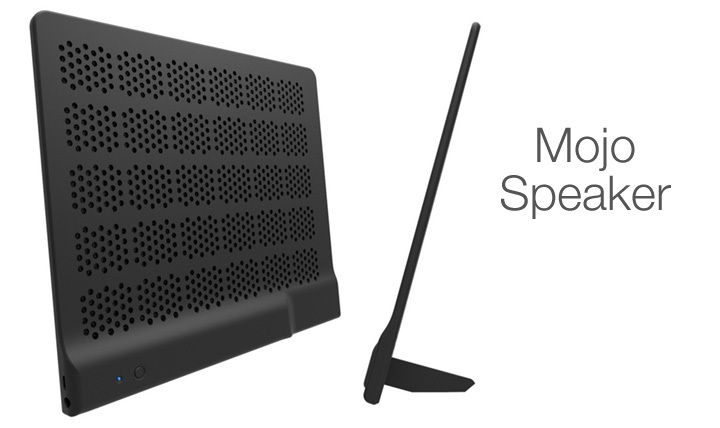 Mojo is touted as the thinnest premium Bluetooth speaker in the world. This wireless speaker features a super thin body weighing only 4 ounces, 7mm thin, long-lasting battery life of up to 10 hours of continuous play at max volume and works with any Bluetooth enabled device. Find out how to purchase your own set of Mojo Speakers here. Us geeks have lots devices, therefore, lots of tangled cords and wires. Forget twist ties or whichever other ridiculous way you’ve attempted to keep your cords untangled. 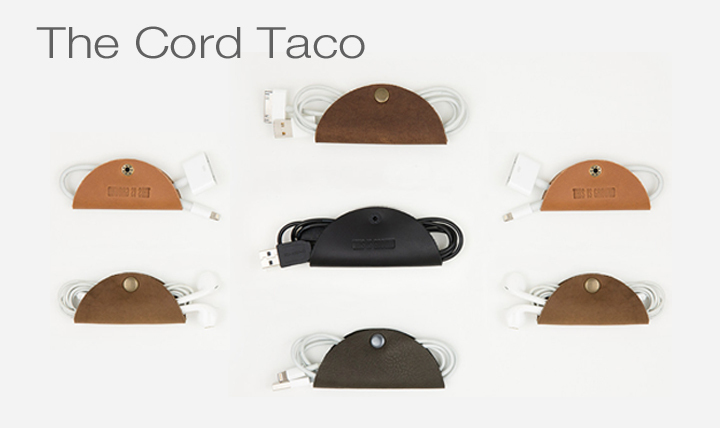 The Cord Taco is neat, stylish and effective. 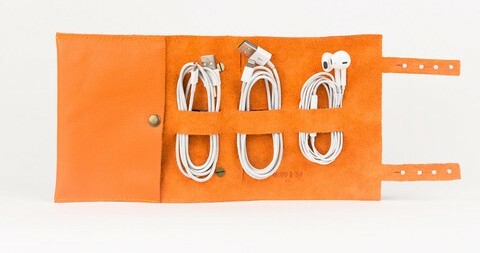 The neat pouches come in different styles that can handle up to 3 cables per pouch and big enough for Apple power bricks, securing cables without strain. Check out the Cord Taco here. So that was just a teaser, click here to check out more cool stuff from the Apple Gazette Kickstarter Store.